Perfect for a bohemian, nature-loving couple! 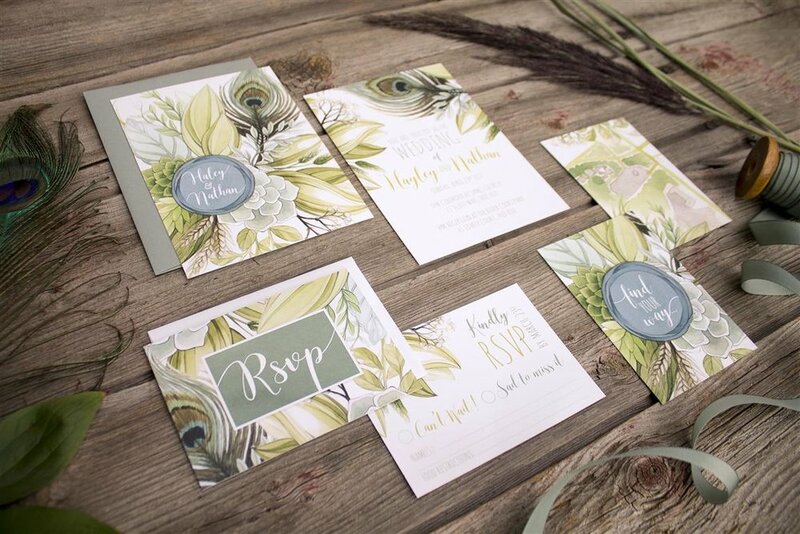 This design is a beautiful collection of different leaves, peacock feathers and boho-chic style. Textured paper (linen or cotton), kraft, textured or a colour of envelopes can be substituted for additional cost, at request.